In today’s fast paced industries, the need for speed and accuracy require the most advanced technology and expert operators. The origins of CAD design can be traced back to 1957. From simple two-dimensional machining, to the modern multiple axis machining centers capable of holding close tolerance machining specifications once thought to be impossible, modern milling turning techniques and machinery has allowed advances in the aerospace, aquatic exploration, and communications industries far beyond what was previously imagined. As machining center technology advances, the ability to produce and reproduce small part machining projects to extreme tolerances will define the prototypes to production manufacturing industry. Parts which once took days and sometimes weeks to manually machine can now be mass produced with CNC machining centers in a matter of hours. 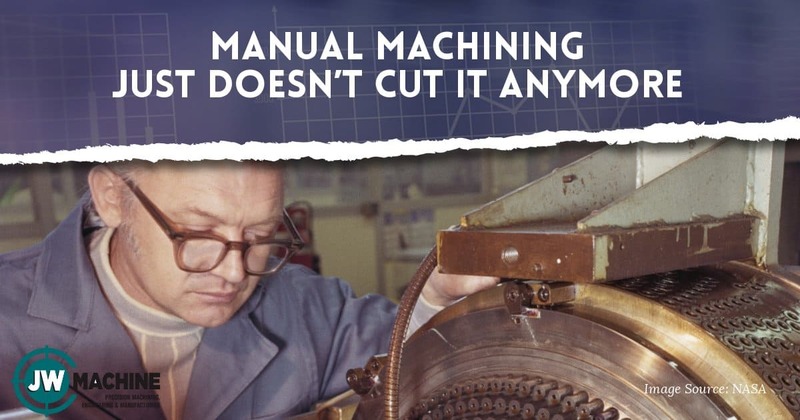 When manual milling turning practices were used, often several attempts to produce the small part machining project proved to be unsuccessful , thus resulting in excessive waste and lost time. Today’s modern machining centers can produce parts to extremely close tolerances thanks to CAD design. Resolving tooling conflicts and piece positioning virtually allows the operator to avoid costly errors, wasted materials, and lost time. JW Machine utilizes top of the line CAD design software and machining center equipment to produce small part machining projects on time and under budget. While manual machining practices set the stage for today’s CNC machine shops, the requirements of the future demand automation to reach the technological advancements on the horizon. We stand ready with our extensive experience in milling turning, CAD design and small part machining to serve your needs. Call us today!